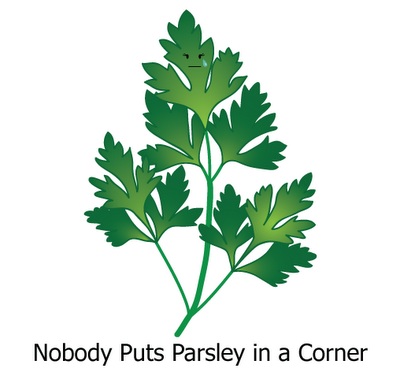 Parsley has never felt good enough. She always felt like just a garnish—a teaspoon finely chopped here, a sprinkle over a meal there, or perhaps a sprig placed on top for color. 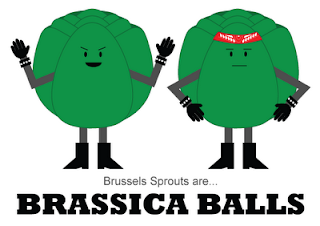 When will Parsley take center stage? Give Parsley the admiration she deserves in pesto, tabbouleh, gremolata, and super green smoothies. You won't be sorry—unlike some of her green competitors, Parsley is bursting with antioxidants, vitamin K, vitamin C, vitamin A, folate, and iron. To continue our trendy seasonal eats coverage, we'd like to introduce you to Ramp. 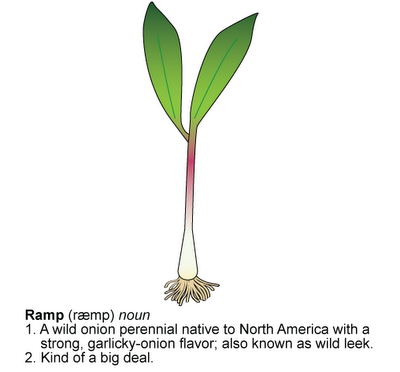 While she appears innocent and scallion-like on the outside, Ramp has the power to elevate standard dishes with her garlicky-onion one-two punch. Salads, pastas, pestos, and pancakes—watch your back! Happy Flax Day! Today we honor a versatile seed who is capable of transforming and reinventing himself into crackers, bread, egg-replacer, and non-dairy milk. If that's not the American Dream, we don't know what is! 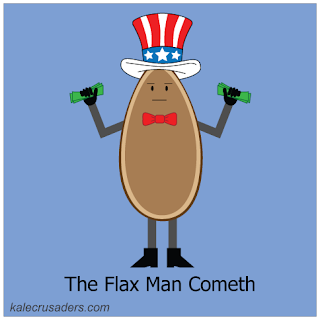 Hats off to you, Uncle Flax. 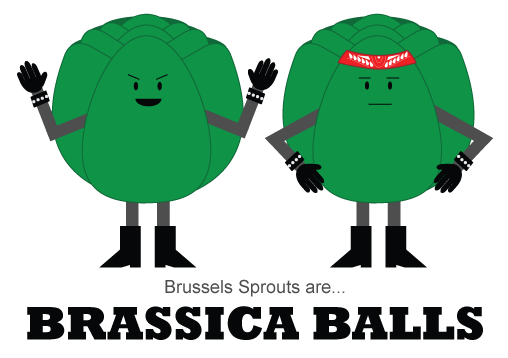 Things just got seasonal at Kale Crusaders Headquarters. We're not always timely in our food coverage (Corn in February? 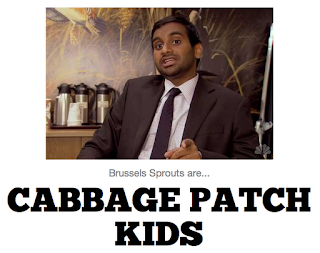 ), but we had to be proactive so we wouldn't miss the ever-so-short Fiddlehead season. Elusive Fiddlehead, who are you? You're delicious in fried form. You're similar to asparagus in execution and presentation. You're a unique, tasty addition to a comforting meal while supplies last. Introduce yourself to Fiddlehead today, and you may impress a foodie friend along the way! P.S. 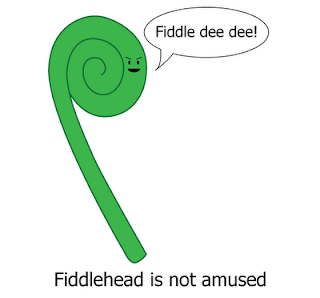 Hat tip to Kale Crusader Liz B. for nominating Fiddlehead! Happy Passover to those who celebrate it! 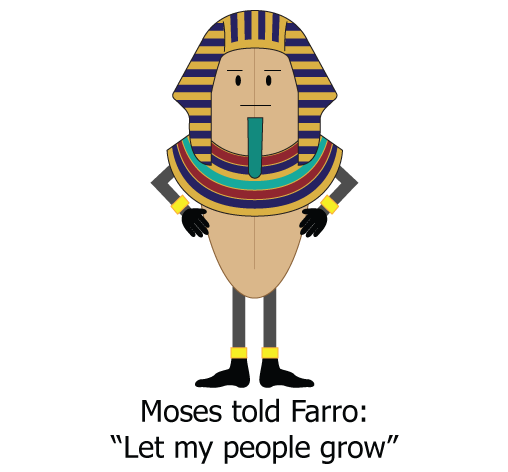 We could not let the holiday pass without a shout-out to Farro, the new ancient grain on the block. 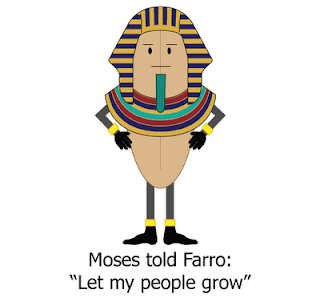 A wheat species originally domesticated in the fertile crescent, Farro is making a comeback. Considered kosher for Passover by some groups of Jews but not by others (long story), Farro is a powerful force the rest of the year in salads, risottos, and other creative concoctions. 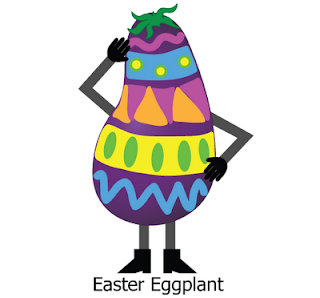 This is what happens when you put Junior Kale Crusaders in charge of the annual Easter eggplant hunt. 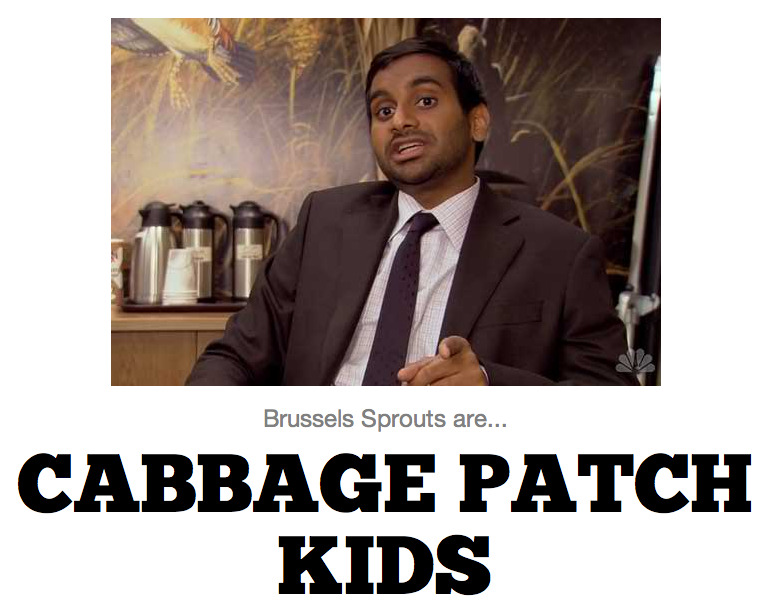 Fortunately Eggplant is a good sport. Critics have panned Mr. Eggplant for being mushy and bland, but his admirers appreciate him adorned in pastel paints, dressed in bread crumbs, stuffed with tomatoes, drenched in savory sauce, or swimming in spice.